As the name suggest liquid fund means a debt mutual fund that invest in bonds that matures on or before 91 days. There are variety of bonds that matures on or before 91 days. In this article we will discuss how to select liquid fund and what all things you should know before investing in liquid funds in India. As mentioned above, liquid mutual funds are the funds which invests in bonds that matures on or before 91 days. 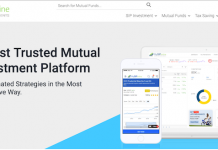 It also has a special NAV applicability in terms of the cut off time of 2:00 p.m. where as other mutual funds has a cut off time of 3:00 p.m. on a daily basis. I have seen many people are so worried about what NAV will I get if I invest today before 2:00 p.m. and so on? I think that not so important as you are not going to make or lose lakh rupee if you get previous day NAV or same day NAV. So don’t stress so much on the what NAV will I get? What you need to know or rather understand is liquid funds are very specific type of mutual funds which invest into short term bonds that expire on or before 3 months. There are bonds which will expire before 3 months as well. 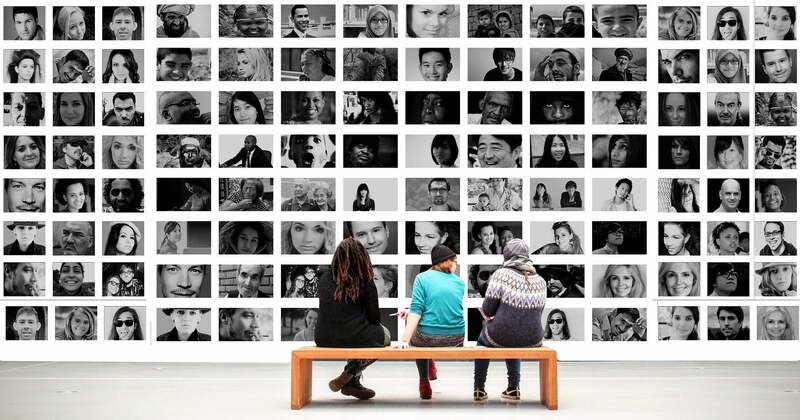 You will find a bond that expires daily/weekly/monthly and so on. When Should You Invest in Liquid Fund? Most of the people investing for short term in liquid funds are worried about how much return will they get? According to me, that is not so important as you are investing in to liquid funds which anyways give low returns. You should rather focus on when should you invest in liquid funds? There are below scenarios when you should choose liquid funds. When you don’t know when you need that money back, may be in a month or six months, or even after a year. Because when you are investing in bank FD you need to select the fix time by when your FD will mature and you will get your money back with the interest earned on your capital. 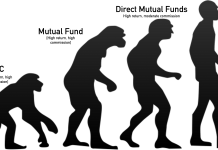 Sometimes it happens that we cannot decide the timeline by which we will actually need that money to meet some expense. Under such situation, if you invest in bank FD and if you need that money before that maturity date, you will have to break your FD and you will not get the interest as prescribed by the bank which is eligible on the maturity date. So in such circumstances, liquid fund is the option for you in which you can invest for the indefinite time period and can withdraw your money as and when you needed. You can even withdraw your money on the next day of your investment. An emergency fund is a fund which is build up for the rainy days. It is basically created to meet sudden financial requirement. As the name suggests emergency fund, means you don’t know when that emergency will occur. Emergency doesn’t have fix date it can occur at any time. I would suggest you invest some part of your emergency fund into the liquid fund based on your risk appetite. Maybe a 30 t 40 percent of your emergency fund can be invested in the liquid fund. It is because the liquid fund is so volatile that sometimes it may fall drastically in a single day. We will discuss this drastic fall in a single day in this article. Suitable for those people who want to invest money without time-bound.  Means, you can withdraw your money as and when you wish to but still get the returns on your investment. Here one thing you need to understand that it is not a substitute of the bank fixed deposit as the liquid fund is market linked and thus carries risk. While on the other hand, bank fixed deposits are a risk-free investment and give you assured returns. Have you invested in a liquid fund just because your dad told you? if yes, then you are highly mistaken. Liquid funds are sometimes riskier than even the equity mutual funds. There are two ways that you can lose your money in liquid mutual fund. As I have mentioned above that liquid funds are investing in bonds which are depended on the prevailing interest rates. So if there is sudden movement in interest rates by RBI, it can sometimes adversely affect your liquid mutual funds. There are chances that your NAV of the liquid funds may fall 8% to 10% in a single day due to interest rate changes. It may recover in few days, but you need to know that this type of interest rate risk is there. Since most of the liquid fund is for short term in nature, the effect of this can be high sometime. If your bond maturity is near and at that time the interest rate is increased, then the value of the existing bond will drastically decrease and so the NAV of your liquid funds. Liquid fund invest in the bond papers issued by Government or private corporate who have an authority to issue the bond to collect short term cash flow from the market. Suppose I have invested in AAA rating bond before a month, and tomorrow some rating agency will say that it is now AA rated bond, then the bond looses value and subsequently the liquid fund which has invested in that bond will also lose value. So the NAV of that liquid fund will also fall. Credit rating risk is a big problem, all mutual funds are subject to credit risk. Be it government body or private entity issuing such bond are subject to credit rating risk. There are various types of mutual funds based on their profile and investment style. 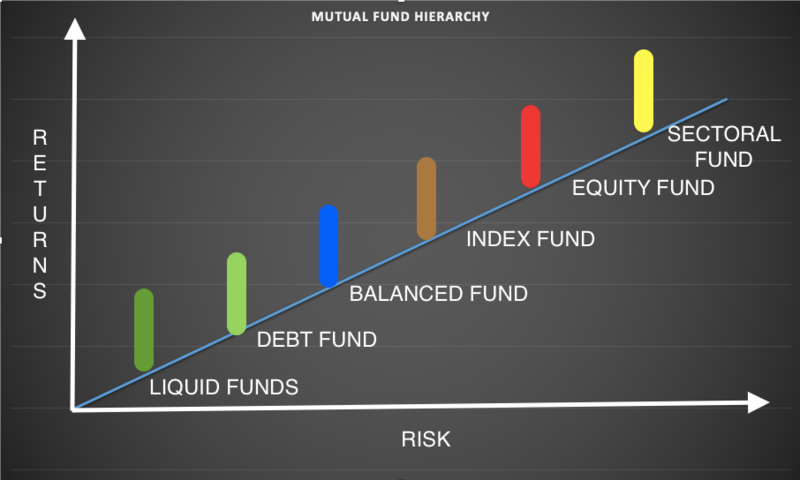 Below is the mutual fund hierarchy which shows that the liquid fund is less risky and so returns from it is also less. Here you can see the positive co-relation between return and risk. Liquid fund is suitable for short term money parking so you should not expect high returns from it. It is perceived that the liquid funds are safest in all category of mutual funds. But that is not true always. Since liquid funds are investing into bonds issued by government and private companies, the NAV is depended on the bond ratings. There are rating agencies who rate these bonds and based on this rating, the NAV of the bond keeps changing. If you have heard the latest issue of IL & FS in which Principal Cash Management Fund had invested and the fund’s NAV had seen a sharp fall of around 6% in a single day. 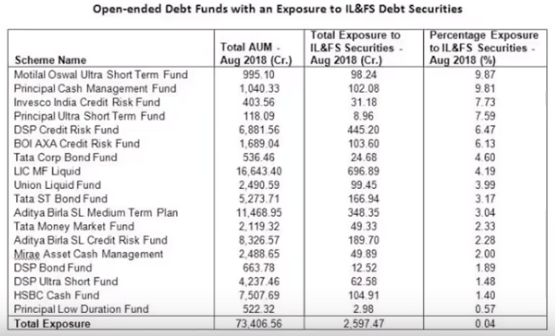 See the below snapshot of the scheme wherein it is clearly shown that the fund has invested into IL &FS bonds. Total investment in IL&FS is in tune of around 10% of the total corpus. This is huge in a single company’s bond. Total AUM of the fund is around 1000 Crs. out of that, it has invested around 100 Crs. into IL&FS company’s bond. Bonds are unsecured money market instrument. They are not secured and can vanish your money in a single swipe. Rating agencies are giving a rating to these company based on their company profile and financial strength. Below is the rating table of CRISIL. The main drawback of the bond papers is we invest into them based on the rating given by the rating agency. Since it is unsecured, it is not backed up by any collateral. IL&FS stands for Infrastructure Leasing & Financial Services. The company is lending money for the long term like infrastructure projects. Here long term means 20-30 years. For giving this loan, the IL&FS has borrowed money from the market by issuing bonds and giving fix interest at the time of maturity. The problem here is they are borrowing money for the short term, say 1 year, 2 years and against that they are lending for 20-30 years. So there is a gap in between for repayment. Due to this gap, there is a liquidity crunch for the short-term. Though they have an asset for the long term they don’t have money for repayment in the short term. So they have made default on 25th September 2018. in repayment and so the mutual fund scheme has to declare the entire investment of around 10% as bad debt. Due to this the fund has fallen like a free falling knife and registered a sharp fall of 6% in a single day. During this period, in a singe week the rating of the company has degraded from AAA to direct D. Due to this down gradation, the company is not able to issue new bonds due to poor rating. So IL&FS doesn’t have liquidity to redeem matured bonds nor it is able to issue new bonds and gather money from the market. So it is not only equity funds that are risky, but these liquid funds are also risky and when they fall, they fall sharply due to above mentioned two reasons. There are many mutual fund companies that have invested huge amount into IL&FS company’s bond papers. Below is the list of all such mutual fund house and their investment in IL&FS. Now the thing is how can we trust the rating agency’s rating given to these company who are issuing bonds? So what should we look at if we want to invest in liquid funds? Let’s check that now. Liquid funds are for short term period for parking your excess money. You should not look or hope for higher returns when investing into liquid funds. Actually, you should not compare the returns of liquid funds. Your purpose should not be getting higher returns from liquid funds, rather it is to park your money for short-term. Do not go by star ratings given by any of the portals/websites as it doesn’t matter for debt mutual funds. As we have seen in the example of IL&FS that the AAA rating given by CRISIL can go down to D rating in just 10-15 days. So the star rating given at the time of AAA status is no worth to watch. Please recognize, liquid funds are risky. In the case of the liquid fund, the fall can be very steep. Liquid funds are not meant for investing it is meant for parking money for short-term. So whatever return you get, you should be happy with it. Consider below points while selecting liquid funds. The bonds are depended on the rating given by the rating agencies. As we see in the case study of IL&FS that the rating can go down drastically. So to save your money from this sharp fall, look for the funds which has high number of bond papers invested into. Higher the number of companies invested, lower the risk of sharp fall. Star ratings should be completely ignored in case of liquid or debt funds. These star ratings are based on the ratings given by the rating agencies. And that can go wrong any time. If you are checking the star rating while selecting liquid fund, you are wasting your time and are bound to lose your money. As we discussed above, liquid funds are meant for parking your excess money for short-term. So don’t invest in thinking you are doing an investment for getting returns. Actually, you should not expect any returns from the liquid funds. Be happy with whatever you get. Most of the people are not able to perceive that risk unless the bond crashes due to credit rating changes. You must look into the scheme documents and portfolio fo the scheme. The asset break up here plays a major role as the fund can see a large amount of redemption at any time. Large redemption by big corporate companies can put pressure on the portfolio. Infact, to ensure that the portfolio does not get impacted on price, liquid funds moved from mark to market to accrual based accounting post the Lehman crisis in around 2008. Also, the size of fund protects investors here on redemption pressures since SEBI has a rule that the highest individual holding in a scheme cannot exceed 20% hence most schemes would be protected to an extent. Investing liquid funds are not easy as it seem to be. Rather it is the hardest thing to select. You need to do a lot of research before putting your hard earn money into something which is highly volatile due to its ratings. If you don’t have time to do the research, I would suggest you to not to put your money into liquid funds. Go for bank FD rather than going for liquid funds. 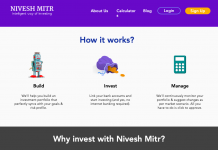 How can I invest in mutual funds in India?